I was thinking the other day about graduating from high school and how I had so many friends that were going to “take a year off” before going on to college. I remember thinking…why? Why not just jump right into life! Me? I was so excited to get started! Since I’m back in college now, that memory came flooding back. And it got me thinking. What does a blogger do in a “year off”? And since most bloggers don’t really do that, I thought I would elaborate. It’s probably not what it sounds like. I decided to take a break blogging because we were so busy and I thought that if I wasn’t so stretched thin, things would mellow out. And then after it was mellow, I had plans of catching up on all my favorite shows on Netflix. And reading all of those books that were just waiting to be cracked open. Heck, I even started downloading books onto my Kindle app! It was going to be glorious! And, I’m not going to lie: It was!! But not because I was doing all of those things I thought I would be doing. I still stayed really busy. 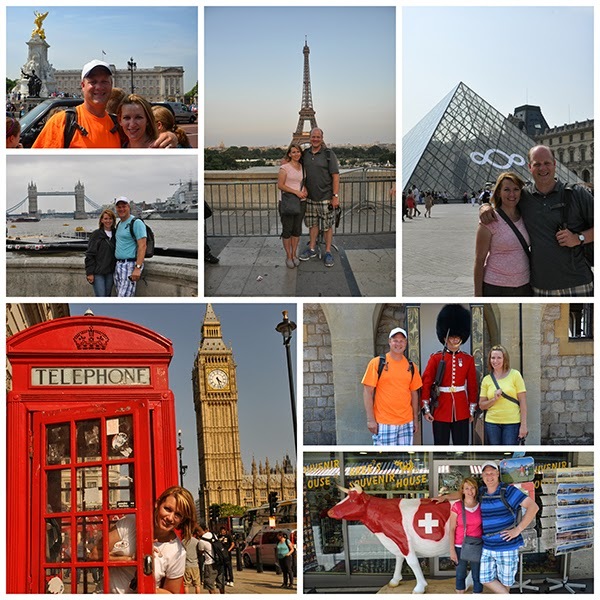 My husband and I went to Europe with my parents. Going to Europe was everything that I thought it would be. It was completely life changing for me. I still think and talk about it almost every day. 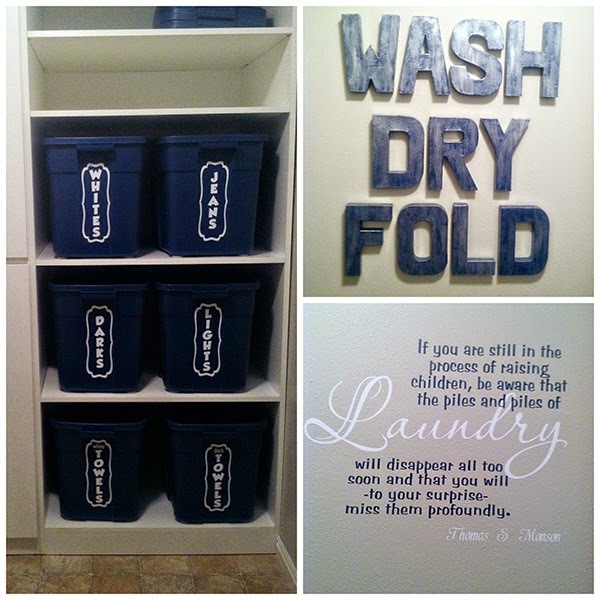 I finished my laundry room. I thought that it would help me be more motivated to keep up on laundry. It didn’t help. I’m still just as piled in dirty clothes as ever. My husband and my friends threw me a surprise birthday party. And it was legendary! 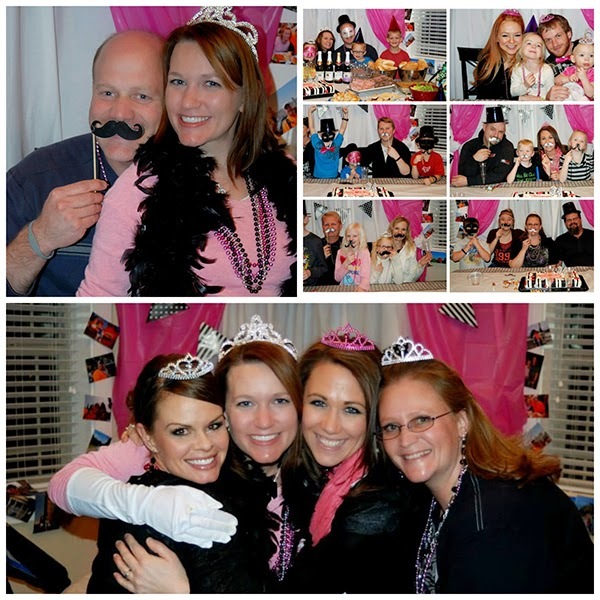 I’ve never had a “grown up” birthday party and I definitely won’t forget this one! 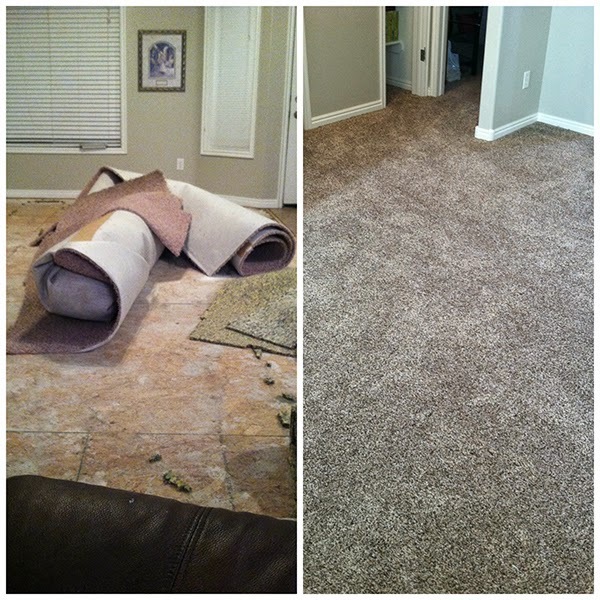 We got new carpet in our living room. And for about a day I convinced my kids to stop eating near it. Our family rule is that they have to eat in the kitchen. So they literally eat one inch inside the kitchen. I guess I need to change that rule. 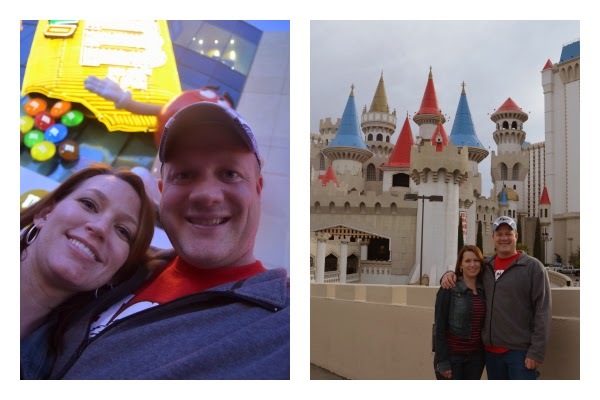 I tagged along on a business trip my husband had to Las Vegas. It was in the middle of Idaho’s winter and I was looking forward to 80 degree weather. Except that when we got there, Vegas was getting a cold front and we froze our tails off. But is was so nice to get away for a while! We cut a huge hole in our bedroom wall to add in a sliding door. Why? So we could get out to our wonderful hot tub in 3 steps during the winter instead of 30. 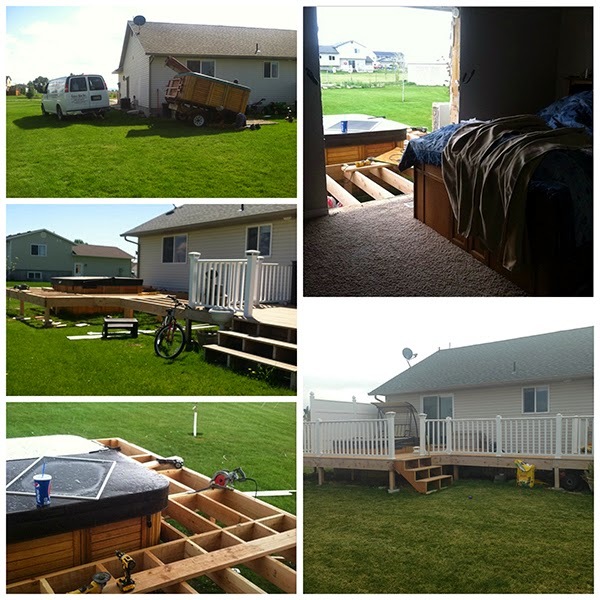 And to make all of that possible, we also had to build a deck around our hot tub. 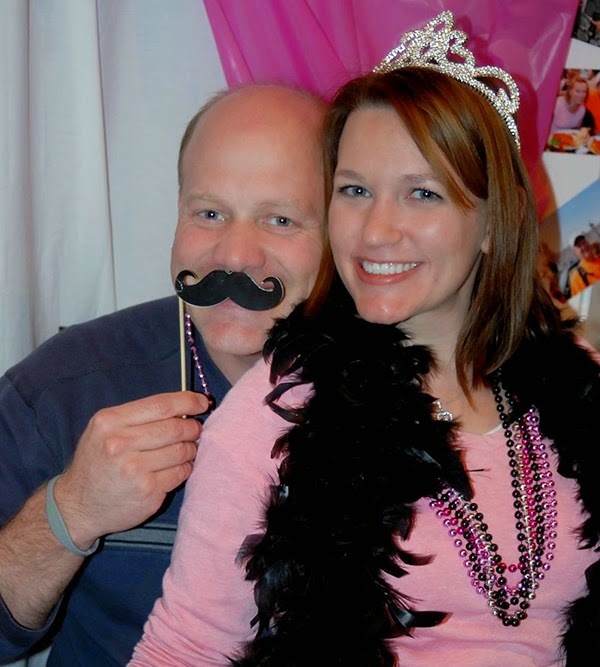 Have I mentioned before how much I love my husband? He worked dang hard on this project! 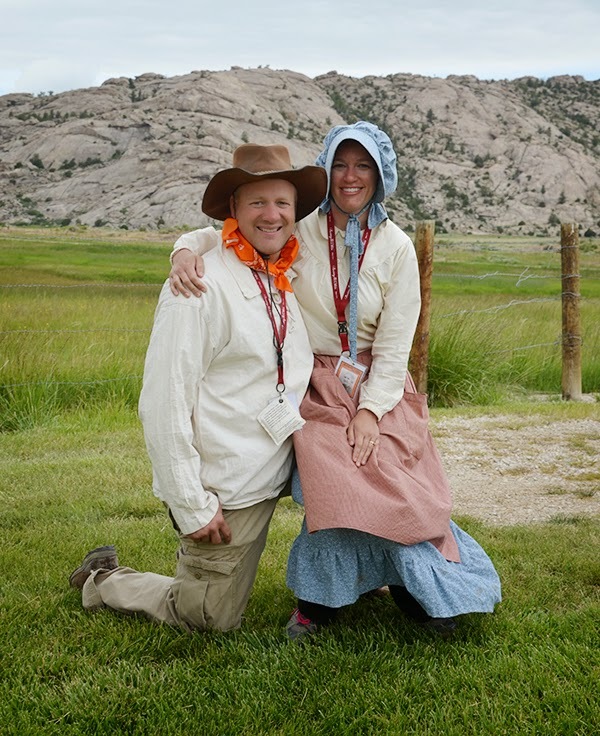 I dressed up as a Pioneer and went handcart trekking with a bunch of teenagers from my church in the middle of nowhere Wyoming. And it was unforgettable! 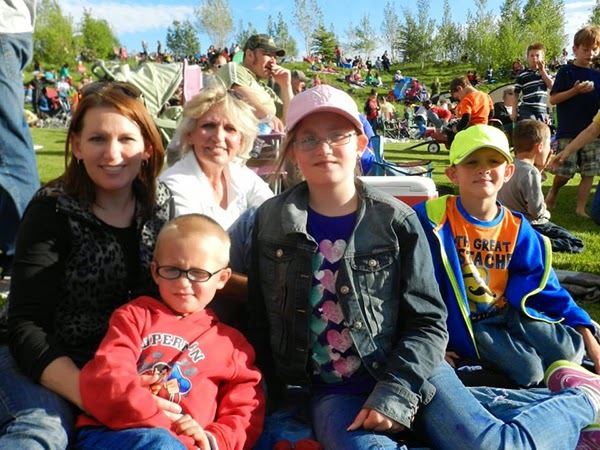 I went on a little bit of a stay-cation with my kids, my mom and my cousin (who both took their vacation to visit us this year). And the most important thing that I did? 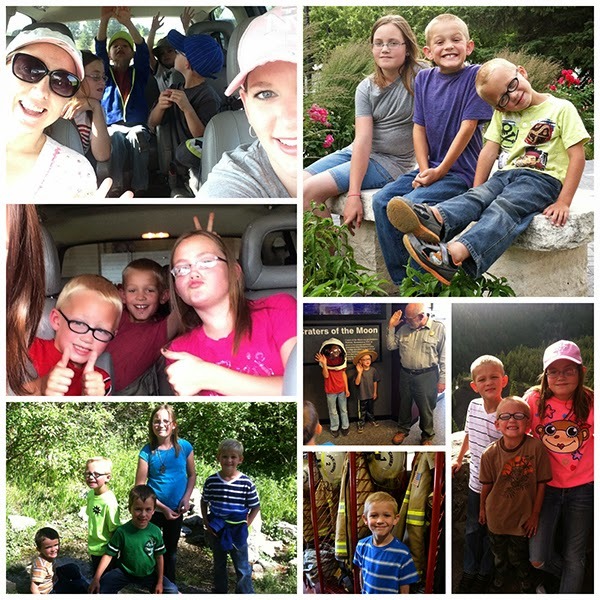 I was a better mom. I was busy, but I was less stressed out and anxious. I took my kids to the summer movies every single week during the summer because I didn’t feel pressured with my huge to-do list. I took them hiking and for walks around the nature trail because I had time to get out and smell the fresh air. We went on spur-of-the-moment day trips with friends just because. I even (a few times) let them help me cook dinner since I wasn’t buried under deadlines. We had a lot of fun! And the mom that my kids had was much better. That’s the kind of mom I want them to have. I feel like this is *exactly* what you’re supposed to do with a year off. Bravo! Sounds like you really enjoyed it….so much so that I have to ask you: What made you decide to return? Not that I’m upset about it lol Of course I’m selfishly glad that you’re back! What a great year, and what great blessings you have had. You are still very busy but in a great way. Love You all.